DCT Gdansk, the Baltic’s rapidly growing gateway to Central-Eastern Europe and Russia celebrated its 5th birthday. On this occasion DCT also increased its capacity by 25% to 1,25 million TEU with the addition of new stacking areas. The celebration took place on 15th October in presence of the Marshal of Pomerania region, the Mayor of Gdansk and the Presidents of Port Authorities of Gdansk and Gdynia. “DCT Gdansk was created out of the vision that Gdansk and the whole Pomerania region may shine as major gateways for trade as was the case back in the XVI century. Many did not believe that this would be possible, but today DCT is already demonstrating the huge potential for Poland to serve as a major gateway to the CEE and to Russia” says Boris Wenzel, DCT Gdansk CEO. “DCT Gdansk development was possible thanks to the relentless support from the local authorities. The close cooperation between DCT and local authorities has ensured the development of surrounding road, rail and logistic infrastructure that were necessary to accompany DCT’s rapid growth. To-date, 500 jobs have been created in DCT alone and many more will be generated by the 100 ha logistic park project which is now under construction” Boris Wenzel thanked to Marshal and Mayor. 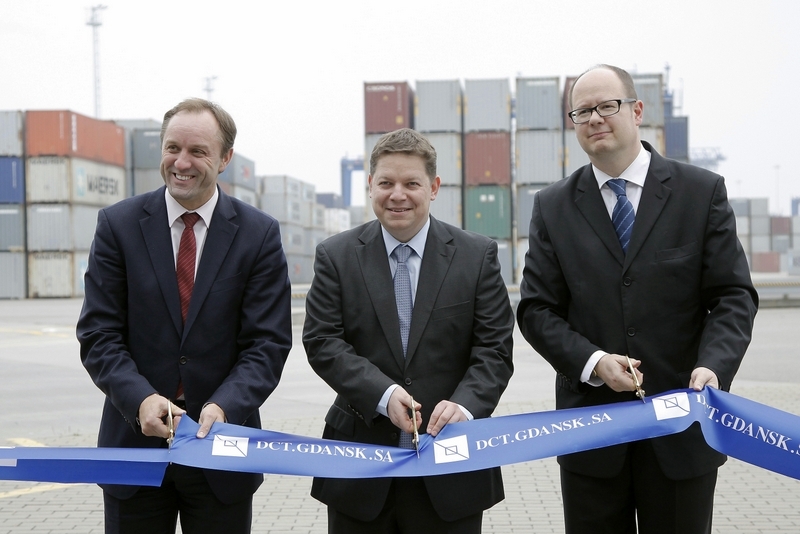 DCT Gdansk was opened in October 2007 and has rapidly developed into Poland’s biggest container terminal with over 57% share in container handlings. The terminal serves Poland, surrounding CEE countries and Russia and is the only hub port on the Baltic Sea with weekly calls of Ultra-Large container vessels. Among others, also Marshal of Pomeranian Voivodeship congratulated to DCT’s CEO.